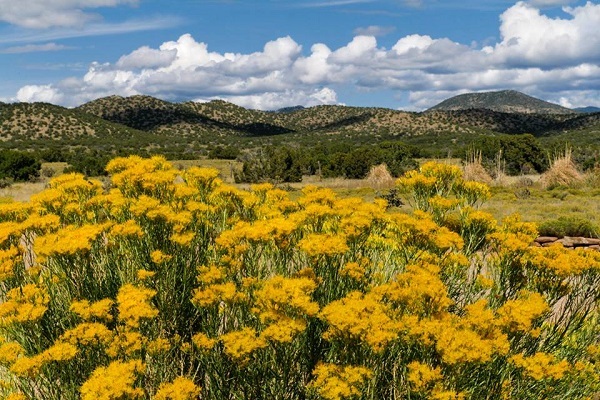 Santa Fe, New Mexico is a magical, exuberant, colorful journey at any time of year. It’s legendary history and culture will fascinate and inspire you. Santa Fe has long been a center for arts and culture and ranks as the country's third largest art market. You'll find nearly 300 galleries and dealers to explore. Santa Fe is known as the City Different and within one visit, you will know why. 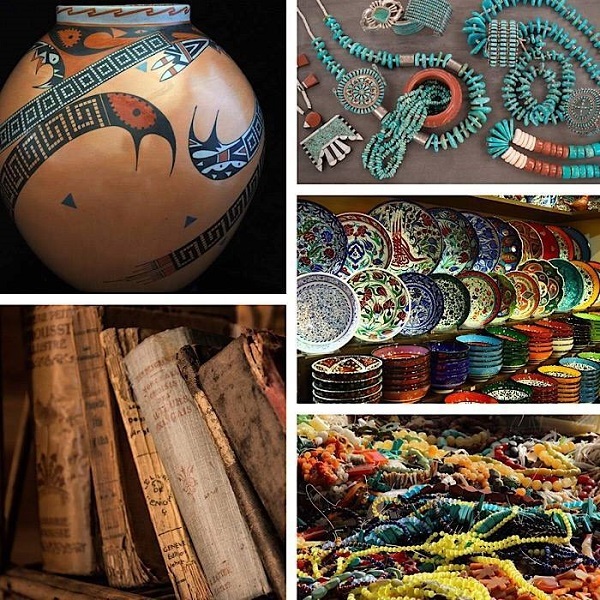 Santa Fe embodies a rich history, melding Hispanic, Anglo and Native American cultures whose influences are apparent in everything from the architecture, the food, the art and on. Remember, the City is seated at an elevation of 7,000 feet, so come and partake of 320 sunny days per year. There is always something to do in Santa Fe: gallery openings, live music, hiking & climbing, shopping, road trips and natural wonders abound. Until we finalize our week-long itinerary, check out some features of this wonderful City! 'Relax and rejuvenate' is they middle name. Choose from an array of spa services with massage, facials, hot tubs, herbal wraps and numerous exotic, feel-good treatments. Santa Fe's restorative powers are legendary. People have been traveling here for centuries to renew body, mind and spirit in the area's high, dry climate, natural hot springs, sun-filled days and endlessly starry nights. There's no better place to find sanctuary for the soul. 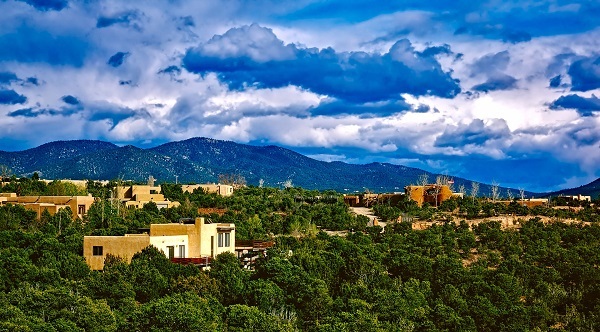 Santa Fe's superb spas will transport you to new levels of bliss. Unwind with massages, tub soaks and other healing traditions in the city rated #1 for spa and relaxation by TripAdvisor. Santa Fe is a hiker's paradise. And you don't have to travel far to find it. Just a few minutes away from bustling downtown lie acres of pristine wilderness in the Sangre de Cristo Mountains. Here you'll find miles of excellent trails to explore that range from easy to challenging. Relax by a silvery mountain stream and maybe you'll see a hummingbird, a mule deer or a gray fox. Make sure to leave yourself time to enjoy the incredible views from ridgetops and mountain summits. Trails for all types of hikers are located in and around the city. Singletracks.com rates Santa Fe a top ten mountain biking destination in the country but you don't have to be an expert mountain biker to enjoy the city's many bike trails and paths. The surrounding mountains and public lands hold an endless variety of trail options with terrain for every skill level making Santa Fe a perfect stepping off point for cycling adventure. Santa Fe, located just 40 minutes from the Pilar put-in on the Rio Grande, makes an ideally situated base camp. Local outfitters can accommodate all skill levels, from novice to expert. 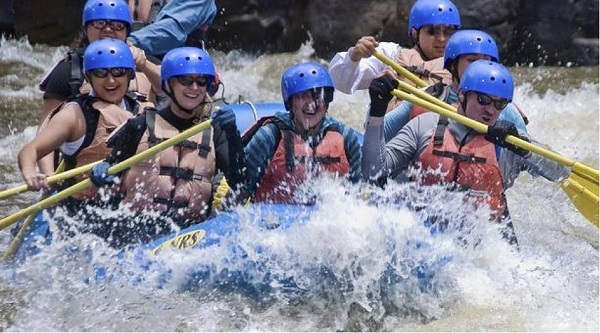 Ride the legendary Rio Grande and the Rio Chama, designated as one of America's Wild and Scenic Rivers, and you'll experience unsurpassed beauty and a remarkable adventure. Santa Fe's treasure trove of fascinating historic sites includes Native American ruins and the oldest church in the country. Explore ancient Native American ruins filled with petroglyphs or a living history museum devoted to Spanish Colonial life. Visit centuries-old adobe and European-style churches. Ride a historic working railroad or enjoy the unique architecture of downtown Santa Fe. There is so much to experience, observe and learn about the Native American culture that New Mexico has to offer. Your visit to Santa Fe will transport you to a new world, into the sovereign nation of the Native Americans. New Mexico is home to 19 pueblos, including the Eight Northern Indian Pueblos located north of Santa Fe. The Jicarilla Apache Nation and the Mescalero Apache Reservation also are located in New Mexico, along with a portion of the Navajo Nation. 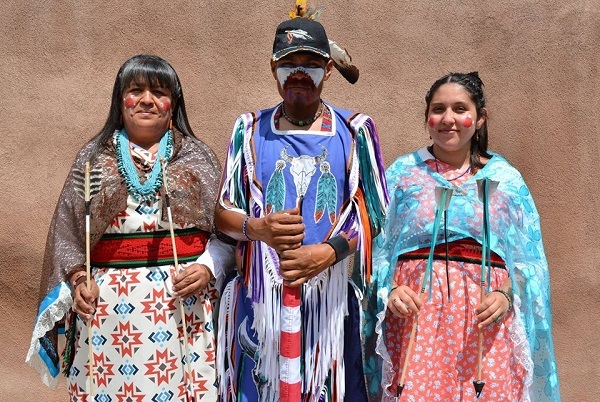 The website for the Indian Pueblo Cultural Center provides excellent information about New Mexico's pueblos, including a schedule of ceremonial dance days and feast days. Located in Albuquerque, the center is owned and operated by New Mexico's 19 pueblos. It features permanent and changing museum exhibits as well as year-round programs and events highlighting art, history, dance and culture. Santa Fe's culinary arts scene is sizzling so when you pack for your trip, make sure to bring your appetite? "Red or green?" Only in Santa Fe can you eat chilis at every meal? There's so much more though: Asian, French, Italian, Indian and Middle Eastern await you in the heart of the high desert. Consider yourself a foodie? Santa Fe is a food lover's paradise. As you travel through New Mexico, visit Albuquerque the hot air ballooning capital of the world and for great spots to shop, view art and learn about the city's history. Go to Gallup to shop for Native American jewelry. Tour Roswell's famous UFO museum and historic district of architectural treasures. 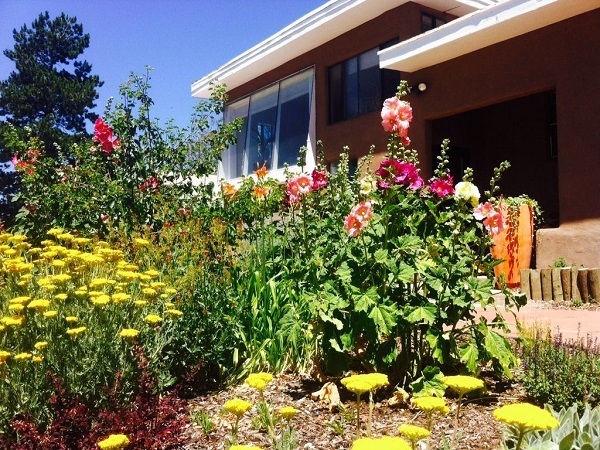 Santa Fe has a distinctive architectural style all its own. No other city in the country has so many low-slung, earth-colored buildings made of adobe bricks, which consist of a mixture of sun-dried earth and straw. 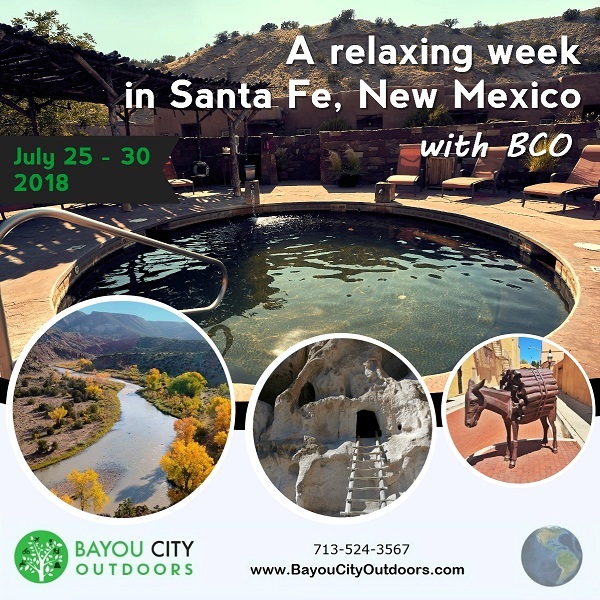 Whether you're an avid fan of fishing, horseback riding or simply relaxing beneath a shady tree in a peaceful park, you'll find plenty of ways to enjoy recreation in Santa Fe, 'the city different'. BCO Booked a charming and unique 4 bedroom 3 bathroom house here, situated on a quiet block convenient to Santa Fe's historic plaza, the Santa Fe Ski Basin and the Santa Fe Opera. 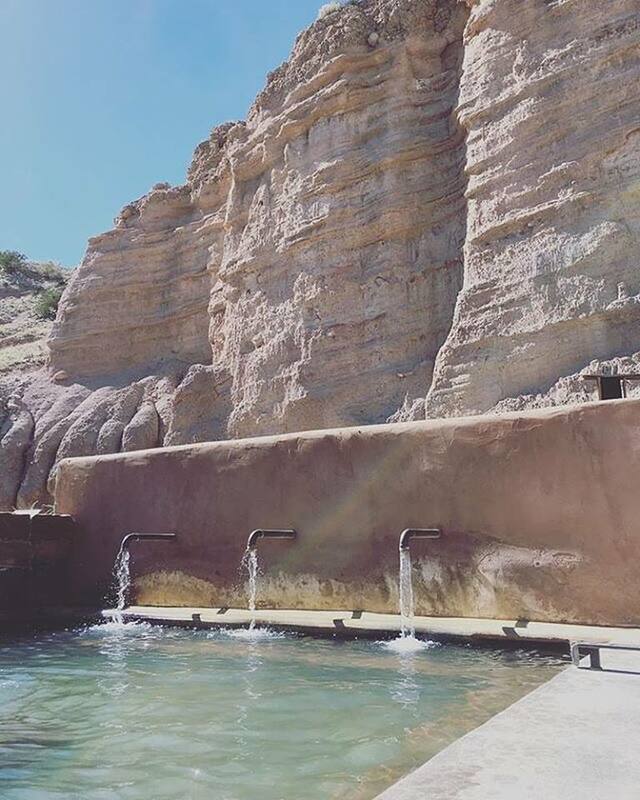 Within minutes from the house, you have convenient access to Santa Fe Spa (a fully equipped gym), and the world renowned spa Ten Thousand Waves. 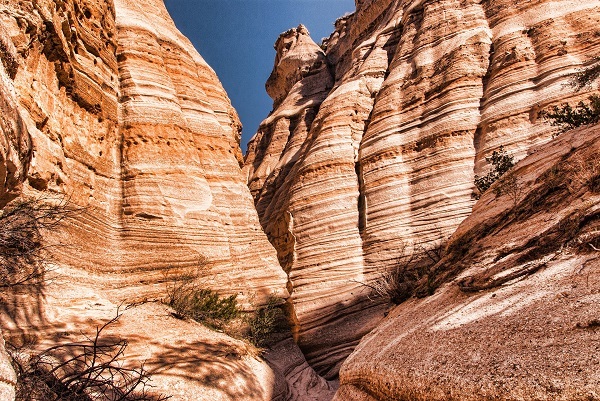 A ten minute drive will get you to Santa Fe's famous Canyon Road where Art galleries abound. 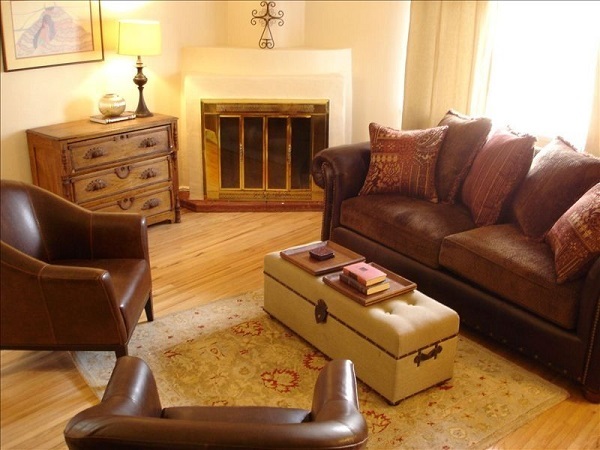 The house is also conveniently located near grocery stores, drug stores, gas stations, banks and everything else you might require during your time in Santa Fe.